The ABUS WBA 100 GRANIT™ Wall Anchor features a 16mm shackle made from hardened steel for extreme resistance against the most aggressive attacks. 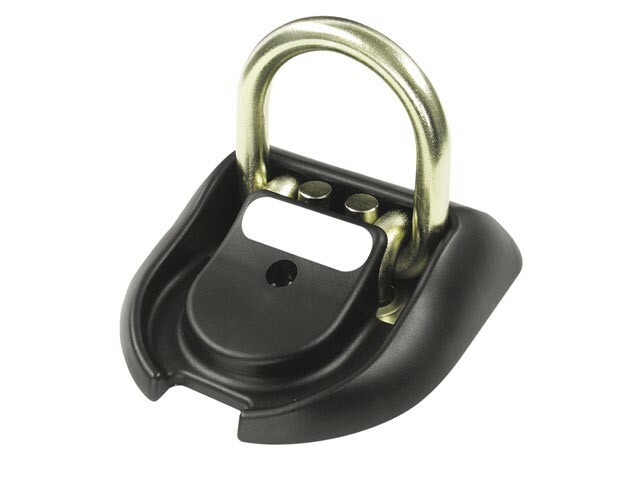 With an extra wide shackle for easy locking. Due to its flat shape and the use of high quality plastic, it is possible to drive over anchor in fixed position, eg. in the garage. Can be used indoors and outdoors as wall or floor anchor.